Scooper - Entertainment News: The African passport is a year old: Has the vibe died since the Kigali launch? The first copies were issued to Rwandan president, Paul Kagame and the then-A.U. President, Idris Deby Itno of Chad during the 27th A.U. summit held at the Kigali International Conference Center (KICC). According to the immediate past A.U. Commission chair, Nkosazana Dlamini-Zuma, the initial plan was to issue the documents to African Heads of State, Foreign Affairs ministers and top diplomats. She said back then that the A.U. has received massive calls to make the document available and therefore tasked governments to accept the challenge of issuing the African passports to their nationals within their own processes. At the heart of the passport is the free movement (visa-free) access across all A.U. member nations. 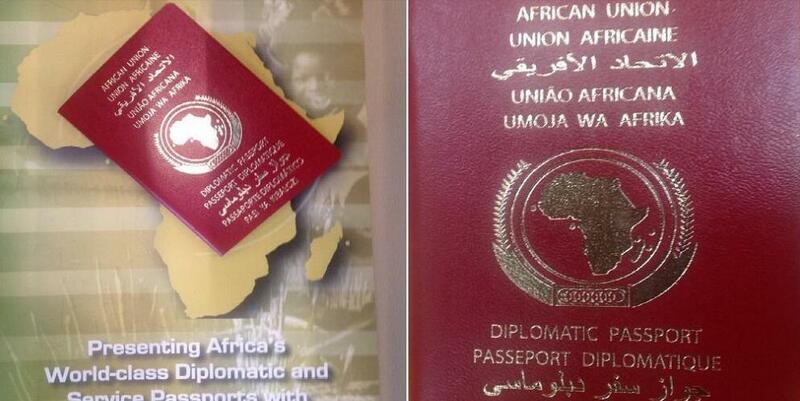 The African passport will thus supersede all existing national documents. The passport is a key component of the continental bloc’s Agenda 2063 action plan. It basically emphasizes the need for greater integration among members. It is built on freedom of movement agreements such as the 1991 Abuja treaty. How many countries have started processes aimed at providing the African passport to their citizens? Can ordinary Africans realistically look forward to receiving copies by 2018 as projected by the A.U.? How will visa restrictions which affects most Africans play out in the general scheme of events? “At the Summit in January 2016 this year, you decided that we must launch the African Passport. We are making this start with our Heads of State and Government, with Foreign Ministers, the leadership of the RECs and Organs. “But, we’ve been overwhelmed by requests, and enquiries of other Ministers, officials, and Africans citizens to share in this privilege of holding an African passport. “We will therefore suggest to the Summit for consideration, as we launch the African passport today, that we agree to create the conditions for Member states to issue the passport to their citizens, within their national policies, as and when they are ready. “It is therefore my distinct honour to present the African passports to the Chairperson of the African Union, His Excellency President Idriss Deby and to our Host, His Excellency President Paul Kagame. “Our teams during the cause of the two days shall capture the details of other Excellencies Heads of State and Government, so that you too shall receive your African passports,” she concluded.